Prezentare Leo Stelten has put to use his years of experience teaching Latin in compiling this concise reference book. 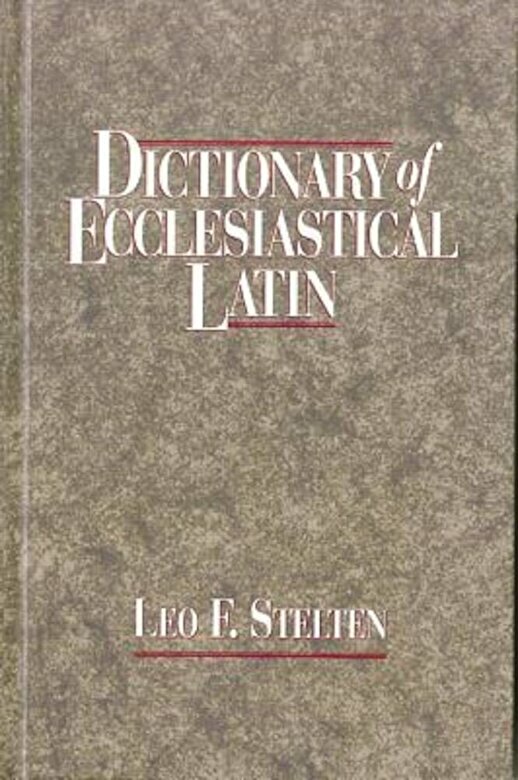 The "Dictionary of Ecclesiastical Latin" includes approximately 17,000 words with the common meanings of the Latin terms found in church writings. Entries cover Scripture, Canon Law, the Liturgy, Vatican II, the early church fathers, and theological terms. This volume will prove to be an invaluable resource for theological students, as well as for those seeking to improve their knowledge of ecclesiastical Latin. An appendix also provides descriptions of ecclesiastical structures and explains technical terms from ecclesiastical law. The "Dictionary of Ecclesiastical Latin" has already been widely praised for its serviceability and indispensability in both academic and Church settings.